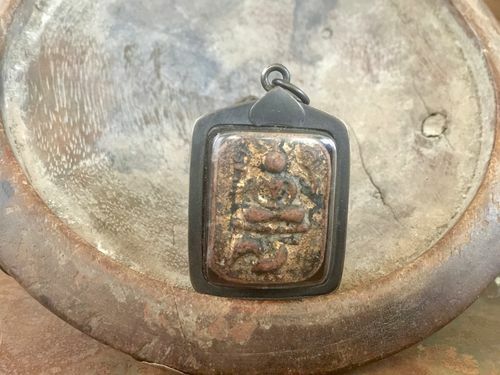 This seated Thai Buddha clay amulet is in a handmade antique brass frame with a durable plastic cover. Newly made in Thailand. It measures approximately 40mm (without the bail) in height, 31mm wide and 13mm thick. The pendant has a matching jump ring for easy incorporation into your jewelry project. 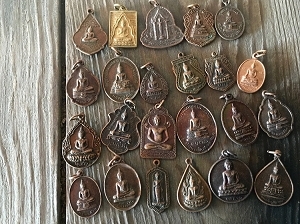 Found on the streets of Bangkok, these authentic Thai Buddhist amulets have a rich history. 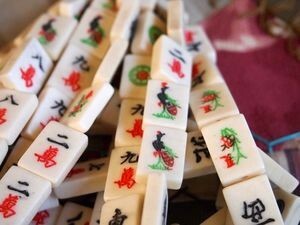 Thai amulets, charms and talismen are made by Buddhist gurus for various purposes: invulnerability, good luck, fortune, protection from evil, etc and are made bo be worn. They are in some ways comparable to "holy medals" in Catholicism. 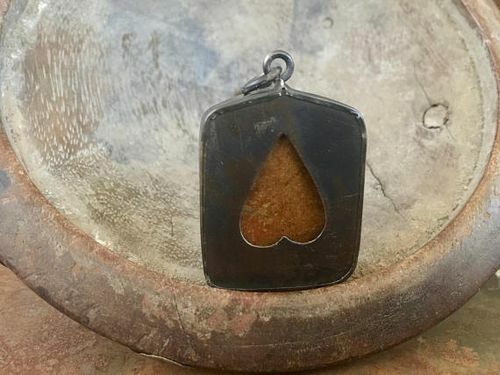 An amulet may represent a famous Buddha image or a significant Buddha pose, may be blessed by a saintly monk or may be intended to bring the wearer good luck or to keep misfortune at bay.